1. 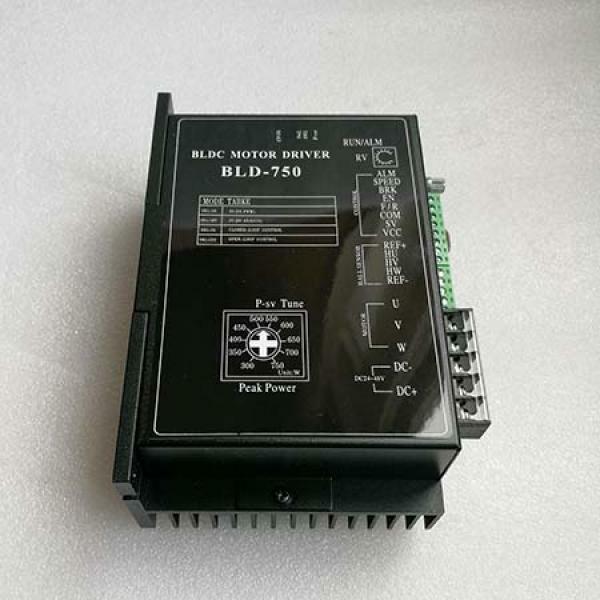 BLD-750 is an brushless DC motor drive controler applied to 24V, 36V, 48V brushless motor. 3. 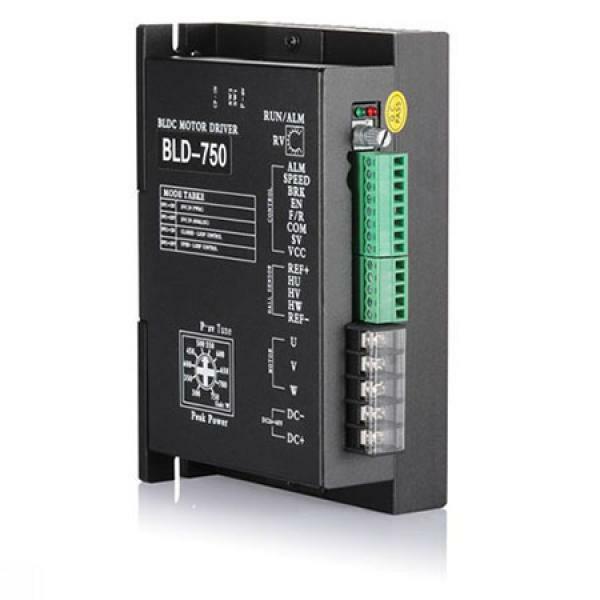 BLD-750PID speed loop, current loop control; start stop control; reversing control. 4. Overload protection setting: dial the code switch can be set different power of motor protection parameters. 5. The 750w brushless DC motor drive controler's high-speed torque output smooth and steady, speed stability. 6. BLD-750 has over-current, over-voltage, under-voltage, locked-rotor, illegal hall signal, temperature protection, and other functions. B. The external access potentiometer can be used for motor speed adjustment. 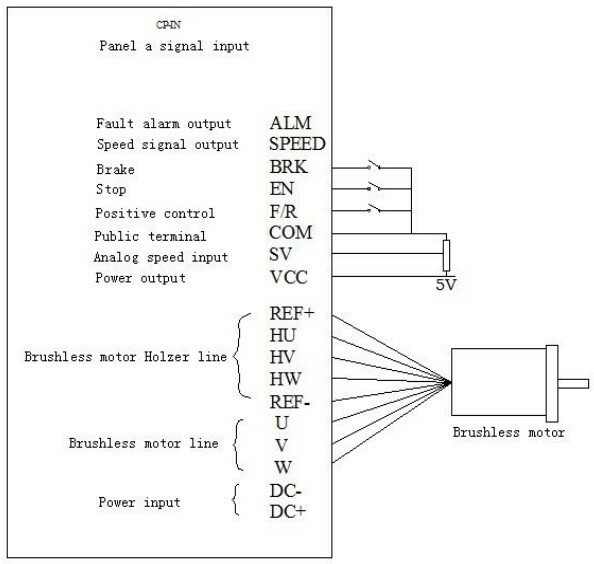 C. Can use external 0~5V or 0~10V analog voltage input for motor speed adjustment. D. The external input pulse frequency can be used for motor speed adjustment. 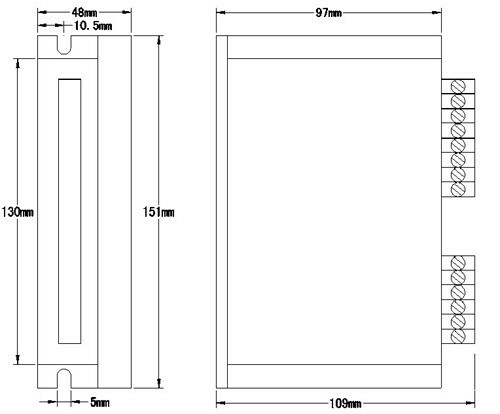 Pulse frequency: 0K-3KHZ; Pulse amplitude: 5V; Pulse duty ratio: 50%. SW2/ON (User setting): PID closed-loop control. SW2/OFF (Default setting): Not PID closed-loop control.